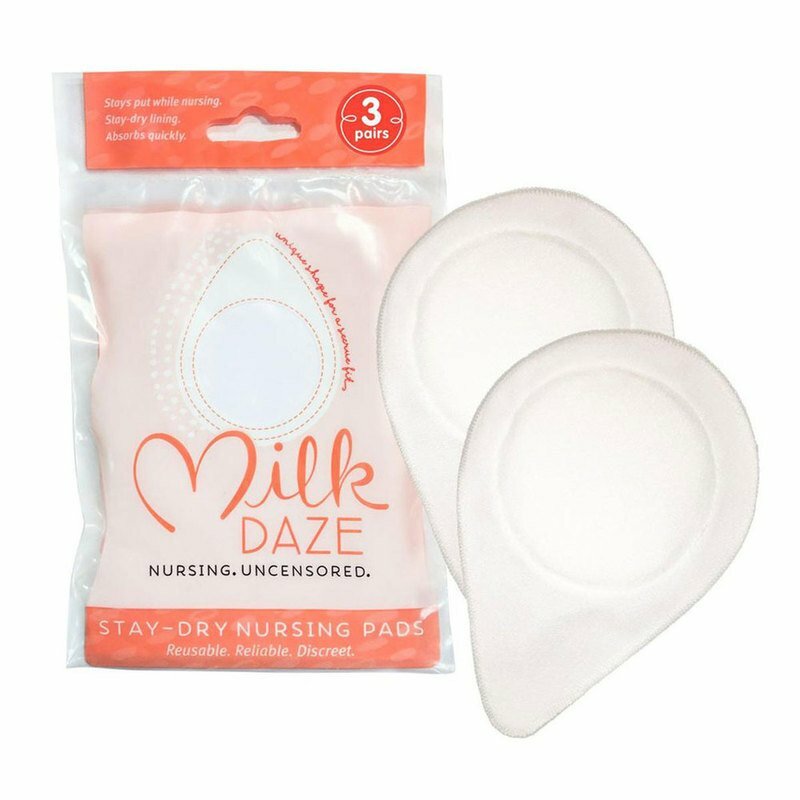 Simple, absorbent and reusable, the MilkDaze Stay-Dry Nursing Pads are the perfect option for any breastfeeding momma. Designed to wick moisture away from the skin, these ultra-absorbent pads keep you and your clothing dry. The unique, patented, teardrop shape tucks under breasts to stay put while you breastfeed. MilkDaze breast pads have been my go-to breast pad the last nine months. I have tried just about all the conventional cloth nursing pads, and I prefer MilkDaze due to the teardrop shape, and absorbency. The shape fits seamlessly into my bra, and they last about six hours before I need to change them. I also don't have to worry about them falling out of my top as they stayed in place without the need for constant adjustment.